For the second weekend in a row, the 2019 Monster Energy Supercross series is visiting a brand-new venue. 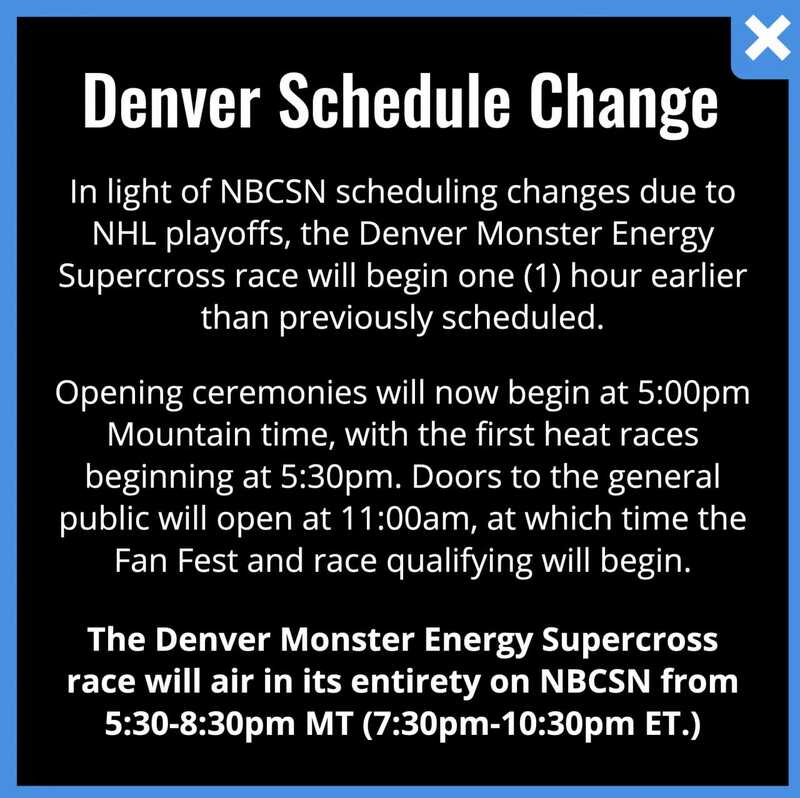 Last weekend’s Nashville Supercross was the first time that the circuit has ever been to Tennessee, but this won’t be it’s first time visiting Denver, Colorado. In 1996, the Supercross tour stopped in Denver for it’s first and only time in the now demolished Mile High stadium. Jeremy McGrath and Kevin Windham won the 250 and 125 Main Events in Colorado almost 23 years ago. This Saturday will be the 15th round of 2019 season and if it’s anything like the rest of the season has been, it will be exciting to watch. The 250 West Coast and 250 East Coast Championships both have two rounds left. 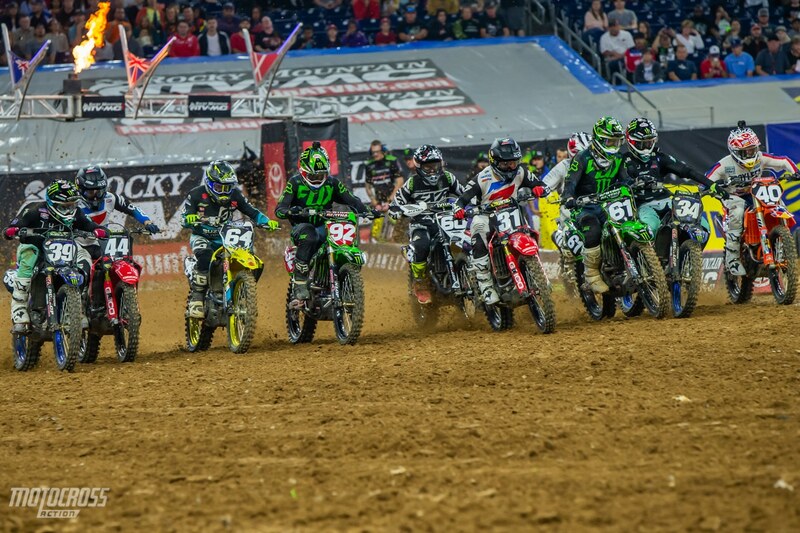 The 250 West coast riders will compete this weekend in Denver, then the Supercross series will take one weekend off to celebrate Easter before making the cross-country trek to East Rutherford, New Jersey. There the 250 East coast riders will battle. 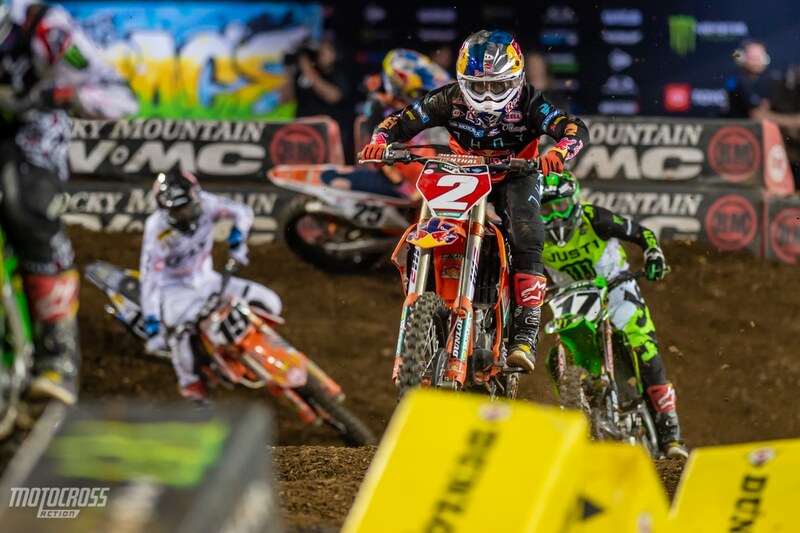 Then, the two coasts will meet again at for their second 250 East/West shootout of the season and the 2019 Monster Energy Supercross season finale in Vegas. We found this awesome video from the only Supercross ever in Denver. Check out those whoops! With three rounds left, all eyes are on Cooper Webb to see if he’ll be able to seal the deal and win his first 450 Supercross Championship. With last weekend’s Nashville Supercross being a brand new venue with brand new dirt, there were a few kinks in the track conditions. The Tennessee dirt conditions in practice and timed qualifying was very dry, dusty and hard packed. The moisture came around by the time the night show began, but the dirt was still very deceiving. Riders made mention of how slick it was and you could tell by the many slide-outs in the corners that it was slick. 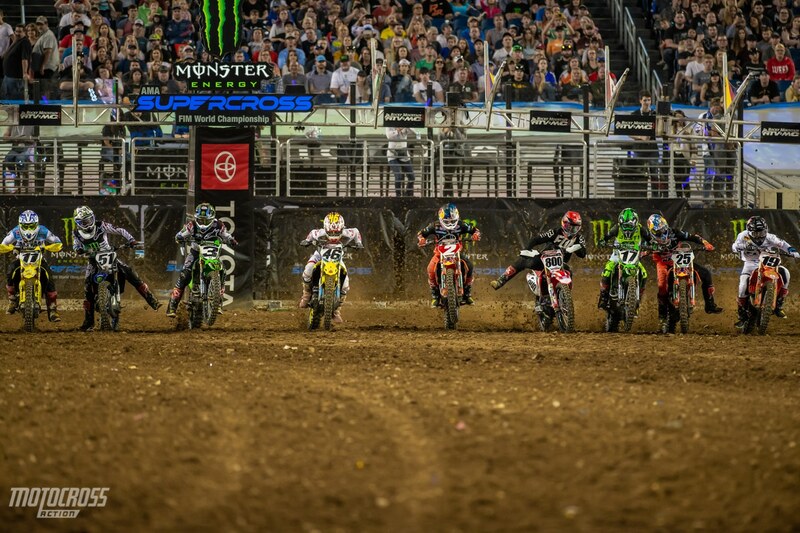 We are interested to see what kind of dirt will be used for the Denver Supercross. 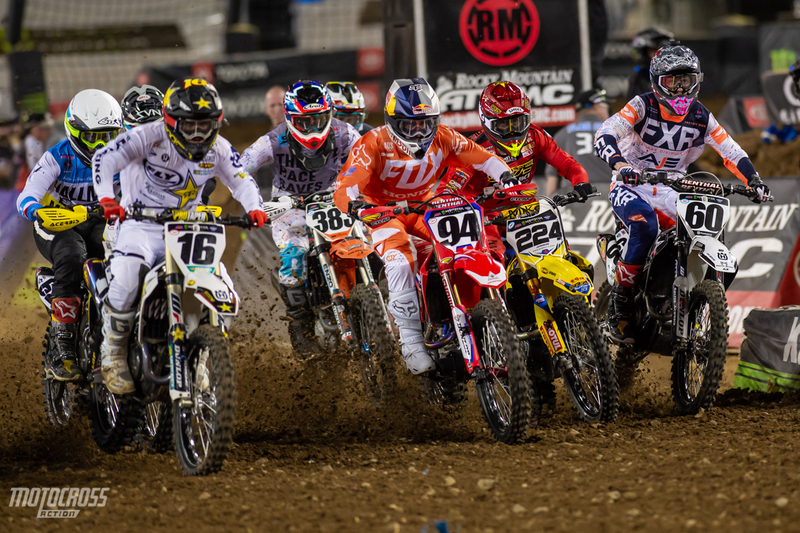 The 250 West Coast riders will be back racing again this weekend in the Mile High Denver stadium. Another interesting factor that will come into play in Colorado is the elevation. They call Denver the mile high city because it is in fact 5280 feet above sea level, which just so happens to be exactly one mile. Anyone who has ridden a motorcycle at high and low elevations understands that bikes run significant slower at higher elevation. This is because there is less oxygen in the air, making it harder for the bikes to breathe. Modern Supercross bikes are fast nowadays, but the riders still won’t be accustomed to jumping through technical rhythm sections and hitting triples with less power than usual. The power struggle will be more of a challenge for the 250 riders as they have less power to spare. We know that most of the top 450 riders actually detune their bikes to make them easier to ride. For Denver they will make the simple switch over to the full power map. Salt Lake City is no longer apart of the series, but it was previous round that also took place at high elevation. Salt Lake is a full 1000 feet lower than Denver, but factory teams were still adjusting their mapping there last year. Ken Roczen makes sure to get his handlebars in front of #224 Charles Lefrancois as they enter the first turn in Nashville’s 450 heat two. After crashing on the start in Houston Ken was doing his best to be up front in the first turn in Tennessee.